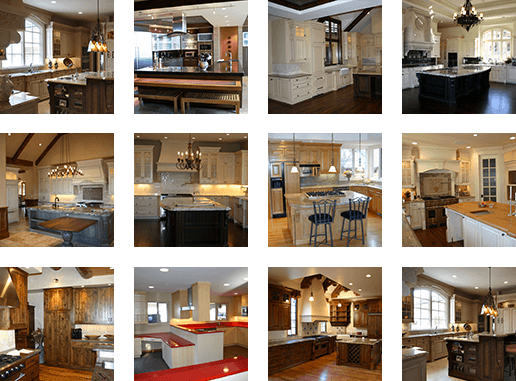 JSB Design & Manufacturing, Inc. has been serving Denver, Cherry Creek, Cherry Hills, Boulder, and the Western United States for more than 30 years as the go-to company for kitchens, bathrooms, and custom cabinets. Our diversified design and manufacturing team is very knowledgeable and capable of answering all of your custom cabinetry questions. If you do not see your question answered below, please call us at (303) 295-6613. Can I get a color sample or door sample? We provide door samples for all of our custom projects. We match any wood type, color, stain, and finish so that the client has a working sample to use for their design process. How long does it take to get my cabinets after I place an order? Because every project and design is different our lead time for production is based upon the size and scope of the project. We offer full kitchen design services that are included with all of our custom projects. We work with all our clients throughout the design process to achieve the kitchen they desire. How can I get replacement parts for my cabinetry? Please give us a call at (303) 295-6613 or email info@jsbdesign.net with any of these needs. Do you provide a warranty? How long is the JSB Design Warranty? Yes, we do. Please see our “Custom Cabinet Warranty” or send us an email for warranty information. Can I install the cabinetry myself or have my builder install them? Yes. Although we recommend using our in-house installation team for the best results and to obtain full warranty. What kind of wood and materials are available? JSB Design has access to any wood species and building materials that the client can specify including green materials. I don't have a contractor, are you still able to help? Yes. Although we recommend working with a professional that understands the construction process and building codes. JSB will give any and all relevant knowledge to help clients that want to be their own contractor. Will you remove our old cabinets? Yes. We can help coordinate cabinet removal, but recommend this be done by the general contractor and their team. I already have a contractor; will you work with my contractor? Yes, we will work alongside any builder or contractor. Do you offer other cabinet lines beyond your full custom cabinets? Yes. We offer stock retail cabinet lines to meet any budget, learn more. If you have a question that we have not addressed, give us a call at (303) 295-6613 or email info@jsbdesign.net. Our talented design and manufacturing team is ready to assist with your kitchen, bar, or custom cabinetry project. If using our online form, we will do our best to give you a reply within 24 business hours.